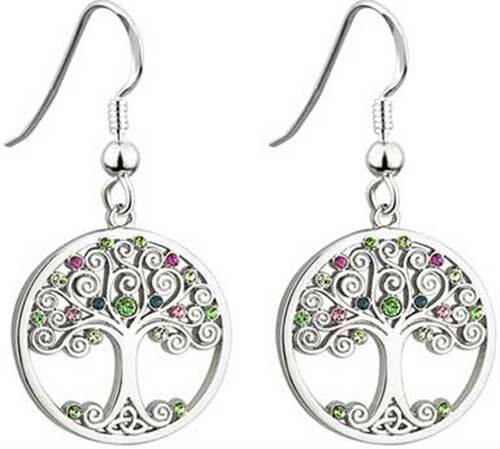 Tree of Life earrings are a dangle style that is enhanced with crystals along with Trinity knots. These rhodium plated Tree of Life earrings are accented with Trinity knots and spirals along with pastel color crystals. 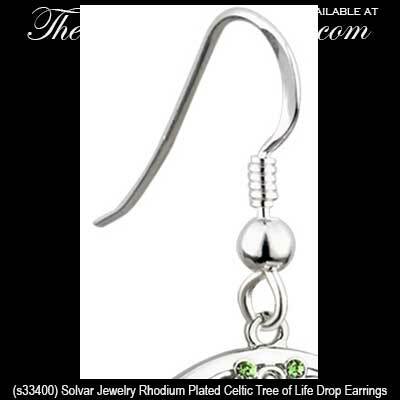 The tree of life drop earrings measures 3/4” wide x 1 1/2" tall, to the top of the fishhook wires. These Irish earrings are gift boxed with Celtic knot and Tree of Life history cards, complements of The Irish Gift House; they are crafted by Solvar Jewelry in Dublin, Ireland. 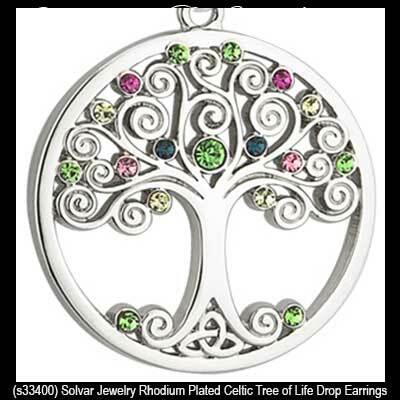 Tree of Life necklace is a plated design that is enhanced with pastel colored crystals along with a Trinity knot trunk.